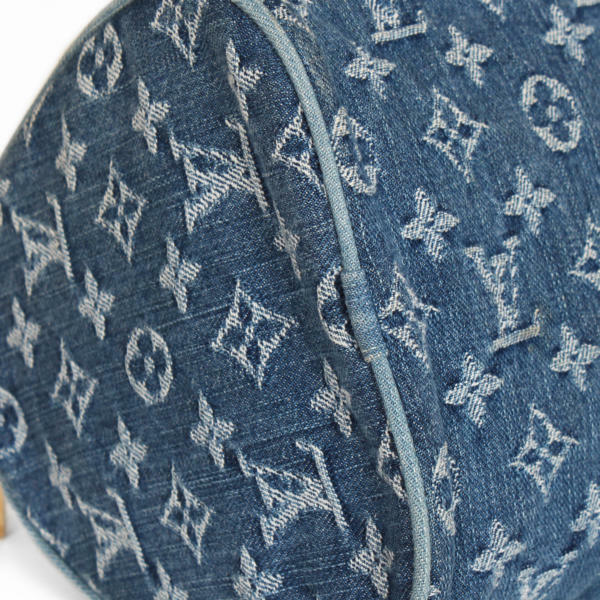 This limited edition of Louis Vuitton Neo Speedy is a “must have”. 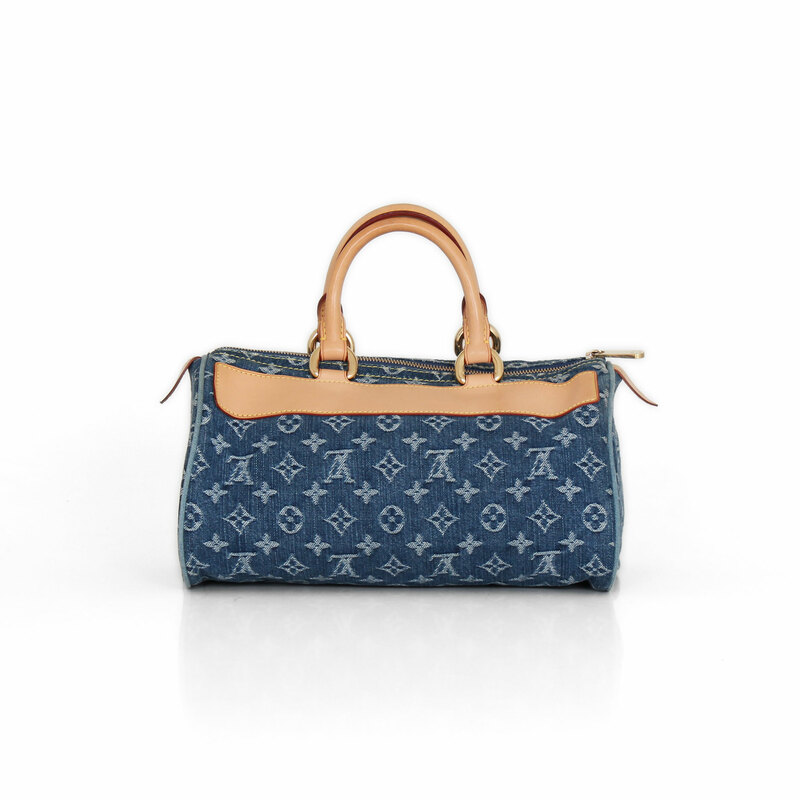 A traditional style dating back to the 1960s, the Speedy was one of the first handbags made by Louis Vuitton for daily use. 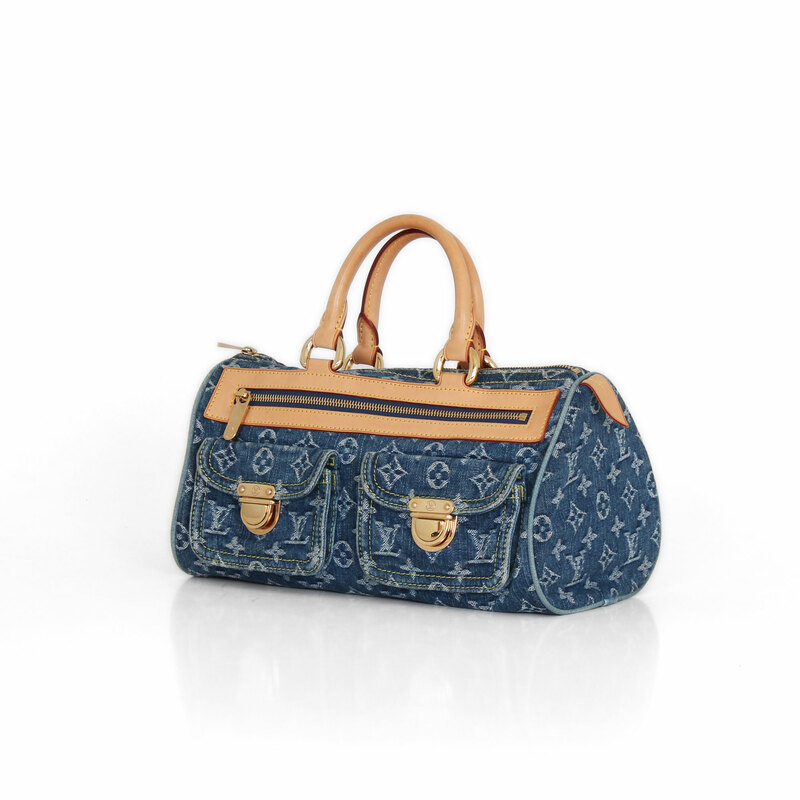 At CBL Bags we are dedicated to buying and selling handbags like this Louis Vuitton Neo Speedy bag. 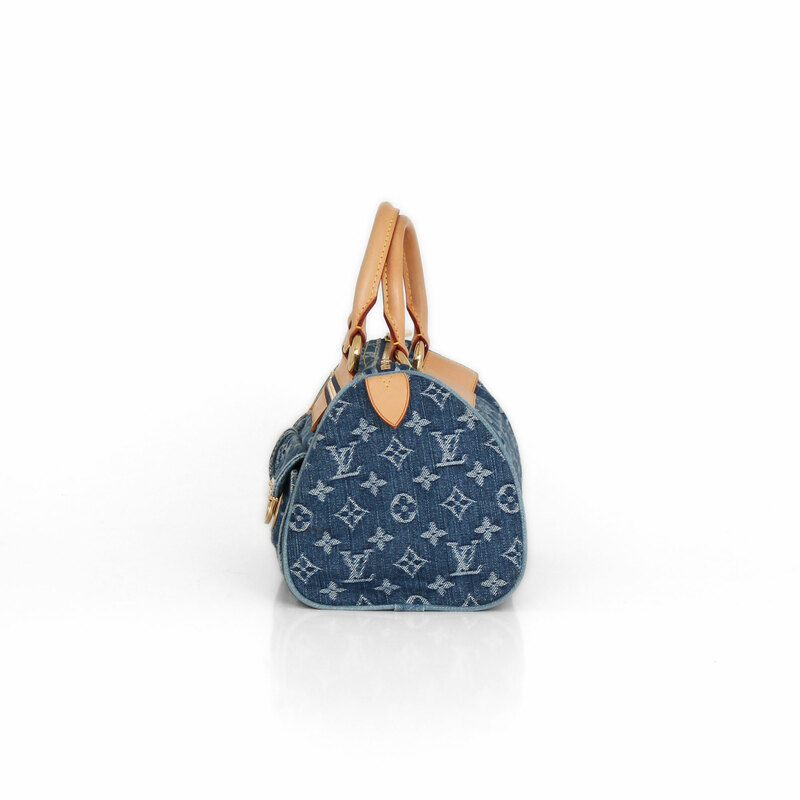 This is an elegant and stylish bag from the Denim collection and is very popular among Louis Vuitton lovers everywhere. 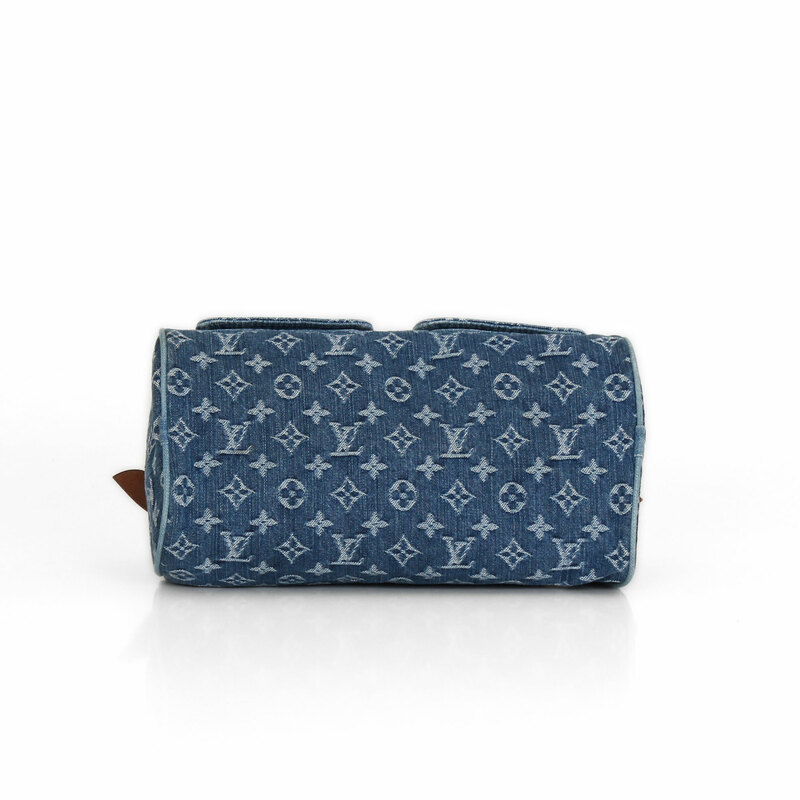 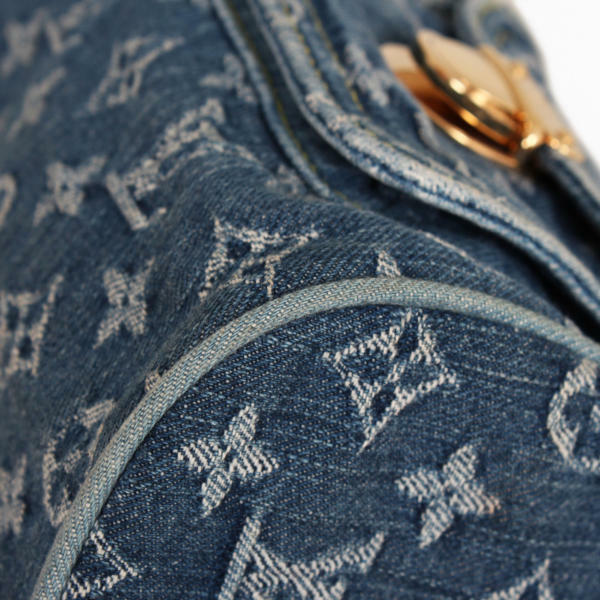 Features an exclusive stone washed denim with the iconic Louis Vuitton Monogram pattern. 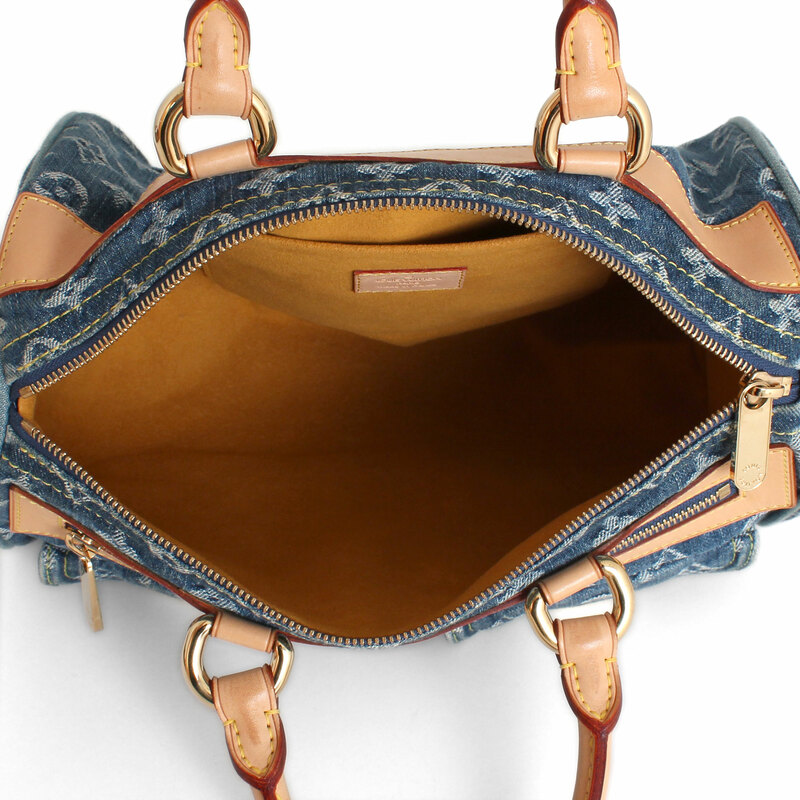 This bag has upper handles made of laminated cowhide leather. 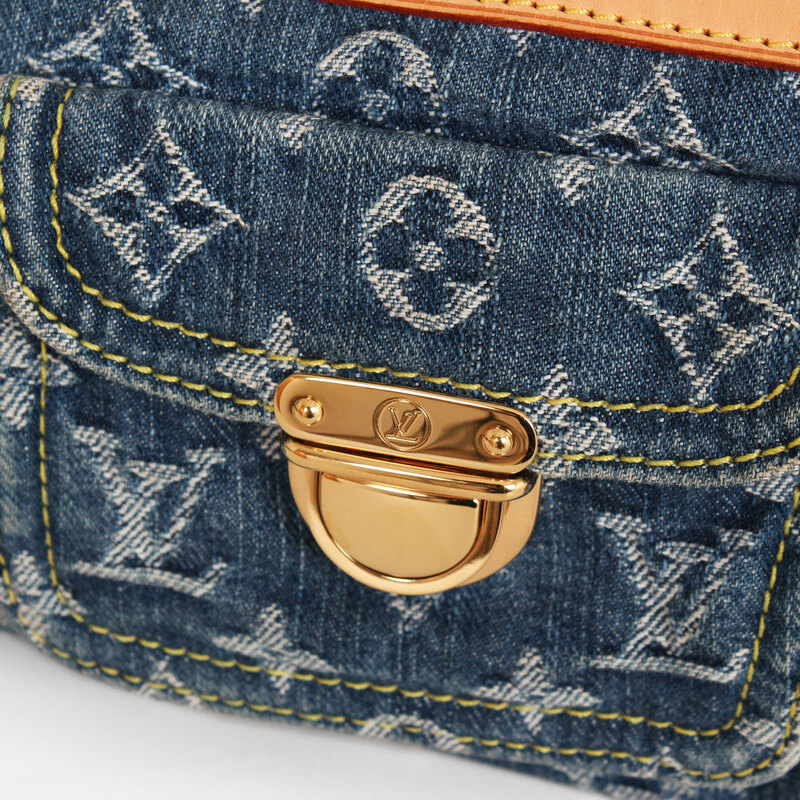 On the front it has two pockets with reinforcement and polished brass fittings with snap closure. The top zip opens to a saffron yellow Alcantara microfiber interior with an open pocket. This is an excellent bag that is ideal for everyday use with Louis Vuitton’s fancy elegant style!